The man had being forewarned to raise the foundation to a much higher one. The area was swampy and prone to occasional water pool. In his arrogance, he ignored all his neighbors’ warnings. By and by as the home was completed, the owners moved in during the dry season. Nothing about the warnings made any sense to him until the wet season. He never knew his home was the lowest on the street. When the rainy season began, it was easy for all that water to find its way into his compound. To worsen the situation, the drainage was full! Helplessly, he would stare out of his window in despair. Nothing could be done at this stage. Not long cracks began to appear. The building was sinking! I felt sorry for him if only he listened. To begin afresh means breaking down the whole home. His foundation was not right. He had wasted all on that house. Ask any builder, he will recommend you lay the foundation for your building according to the type of soil, the topography and the kind of house. A wrong foundation spells disaster. That man’s troubles were comparable to the parable Jesus told. Like him, we are all building our spiritual lives. Every word we take into our heart and every action is laying bricks and mortar to our spirit man. Two processes are involved as we read from the scriptures- The hearing of the Word and the Doing of the Word. Some get to hear only but they never apply the Word to their lives. For our hearing to be meaningful, we need to activate full listening. Undivided attention. Meditation on the Word is also involved. You dwell upon the Word you have received. When your hearing is done, it begins to affect the way you think and act. The Word of God begins to transform your heart from inside out. Because you have heard and done what the Word would have you do, you be the Wise (Wo)man Jesus described. Watch verse 25. The rains descended. The floods came upon that house. And the winds beat it also. The miracle is that house did not fall. Amen! Ponder: Is your faith still standing? Are you overwhelmed by too much already? Jesus is telling us, persecutions would rise, temptations and sufferings are ‘normal’ along the faithful pilgrims way, but these would not beat you down! Why? Because you have taken time to build on the rock. How? By hearing and doing the Word. Every time we apply the Word, we prove the foundation we have. It is deceitful to hear the Word, know it but never do it! The sad truth is we don’t deceive anyone else but ourselves. The Book of James I: 23 says it is as good as forgetting what our natural face looks like. What a heavy comparison! Just as Romans 10:17 says Faith comes by hearing the Word. When the pure undiluted Word touches the heart, it has the power to transform that life. Never underestimate the power of the Word in a ready heart. The parable of Jesus explains further that foolish is one who hears the Word but fails to do them. That person still faces the rains, the floods and the winds same as the wise fellow. But his house will experience a great fall. Everyone, both great and small, would face the rains, the floods and the winds. No matter how fancy your house looks it will be tested by these three forces. Trust the rains, the floods and the winds to reveal the foundation upon which you have built. Hear this friends, it is not enough to get to church, you have to get to Jesus. You have to get to the cross, carry yours and follow him. It is not enough to speak all the Christian phrases and quote the right scriptures. The Word of God has got to be in your soul, hidden in your heart and transforming your life. The world will see what foundation you have built upon. Please be sure you show them Jesus. We don’t give up. We live our lives fully surrendered that the life of Jesus may be seen in us. And the whole point of building your foundation Christ, is for the eternal weight of glory. Don’t be discouraged, whatever you are passing through is for a moment. I know I can stand secured. I put my hope in your Holy Word. As we continue in this study, I would love for you to sign up if you haven’t already! Don’t miss the rest of this awesome study. click to SIGN UP. 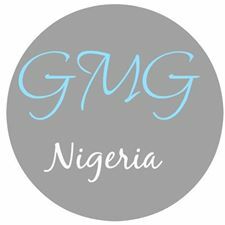 A little announcement: I am happy to let you know our Blog, Purposeful and Meaningful was nominated as Top Mommy Blogs in Nigeria. God has been faithful. I’d appreciate it if you VOTE for the blog >>here<< It is the first on the list. Thanks for your support!